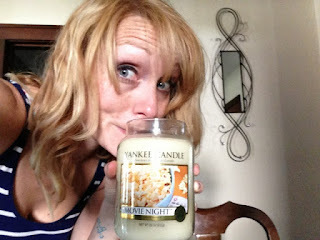 I got the opportunity to sample Yankee Candle's new line of Man Candles just in time for Father's Day! 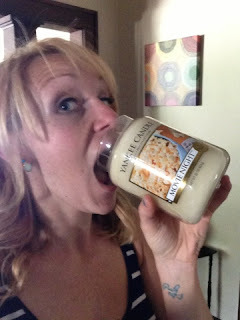 Now, first and foremost, my husband is typical dude, but he also wants to sniff every candle I bring home. 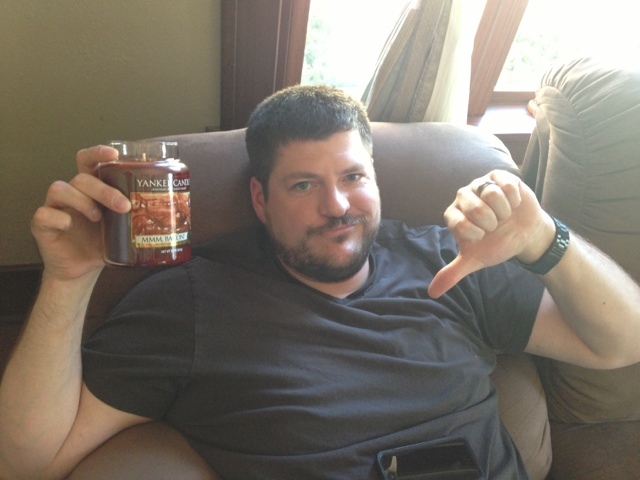 He's got an opinion about fake food-smelling candles vs. fresh, natural scents. He's pretty freaking opinionated anyway, but candle scents are a trigger for him. So when I gave him a heads up that these were headed his way he was over-the-moon. 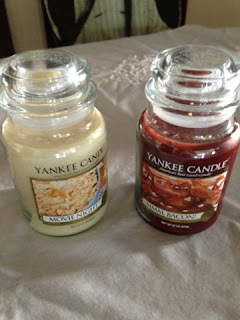 I was sent two scents - Movie Night (a sweet popcorn candle that reminds me of kettle corn) and Mmm Bacon (a sharp cooked bacon candle with a hint of spice). I let Brett have the first sniff. Movie Night was a HUGE hit! It's tangy, it's sweet, and it definitely smells as yummy as the real thing. Mmm Bacon was a little bit sad trombone. While unlit it smelled like stale bacon bits, when it's lit it smells more like my microwave after I've burned turkey bacon in it. Not quite what Yankee Candle was aiming for, unfortunately. It isn't horrible, I wouldn't kick it out of bed for eating cookies, but it also wasn't what I was expecting from such a great brand. However, that Movie Night candle? I can't stop sniffing it. Yum. 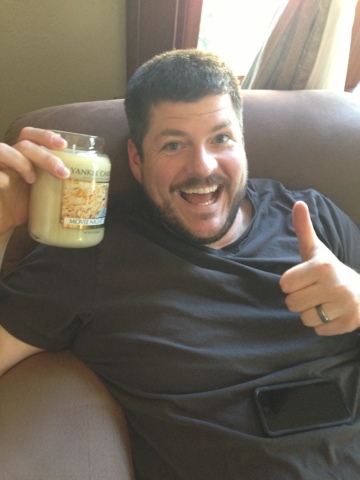 If you're looking for a quick and different Father's Day gift for your dad or baby daddy, definitely check out Yankee Candle's new line of man candles! Scents besides the two listed include First Down, Man Town and Riding Mower... which I'm definitely going to go buy this weekend! I received the two candles above free from Yankee Candle for your reading pleasure, but the opinions are clearly all mine! I love Brett's face about the bacon one. 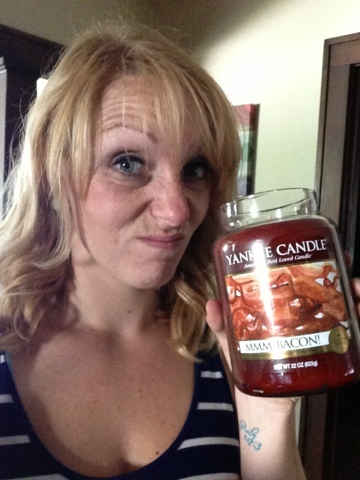 1) I can't believe he is a dude not liking the smell of bacon and 2)I can't believe they make a bacon candle! I just found your blog thanks to Crowdtap promoting you as a "Stellar Sample and Share"-- good job, those are not easy awards to get!! I've done a few sample and shares with Crowdtap and I love it. What I'm wondering is, how'd you get the hook up with Yankee Candle?